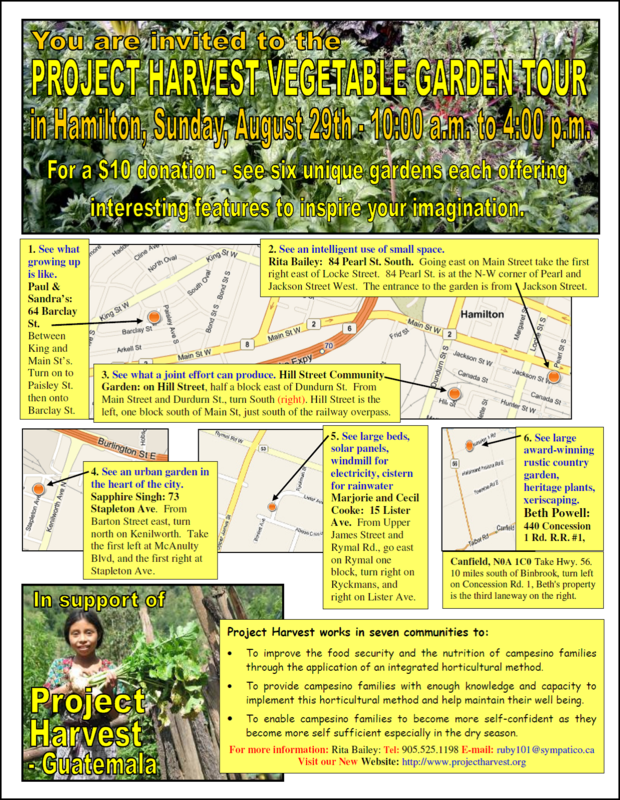 Sunday August 29th 10am to 4pm-This fund raiser for Project Harvest, a food sustainability project in Guatemala includes environmental and social justice concerns with local food and gardening all in one. * A “staggering” new study from Canadian researchers has shown that warmer seawater has reduced phytoplankton, the base of the marine food chain, by 40% since 1950. * And then, in late July, the U.S. Senate decided to do exactly nothing about climate change. They didn’t do less than they could have -- they did nothing, preserving a perfect two-decade bipartisan record of no action. Senate majority leader Harry Reid decided not even to schedule a vote on legislation that would have capped carbon emissions. And even that was not enough. They were left out to dry by everyone -- not just Reid, not just the Republicans. Even President Obama wouldn’t lend a hand, investing not a penny of his political capital in the fight. The result: total defeat, no moral victories. So now we know what we didn’t before: making nice doesn’t work. It was worth a try, and I’m completely serious when I say I’m grateful they made the effort, but it didn’t even come close to working. So we better try something else. No, really? In the end, though, all these focus-group favorites are secondary. The task at hand is keeping the planet from melting. We need everyone -- beginning with the president -- to start explaining that basic fact at every turn. It is the heat, and also the humidity. Since warm air holds more water than cold, the atmosphere is about 5% moister than it was 40 years ago, which explains the freak downpours that seem to happen someplace on this continent every few days. It is the carbon -- that’s why the seas are turning acid, a point Obama could have made with ease while standing on the shores of the Gulf of Mexico. “It’s bad that it’s black out there,” he might have said, “but even if that oil had made it safely ashore and been burned in our cars, it would still be wrecking the oceans.” Energy independence is nice, but you need a planet to be energy independent on. Mysteriously enough, this seems to be a particularly hard point for smart people to grasp. Even in the wake of the disastrous Senate non-vote, the Nature Conservancy’s climate expert told New York Times columnist Tom Friedman, “We have to take climate change out of the atmosphere, bring it down to earth, and show how it matters in people’s everyday lives.” Translation: ordinary average people can’t possibly recognize the real stakes here, so let’s put it in language they can understand, which is about their most immediate interests. It’s both untrue, as I’ll show below, and incredibly patronizing. It is, however, exactly what we’ve been doing for a decade and clearly, It Does Not Work. Step two, we have to ask for what we actually need, not what we calculate we might possibly be able to get. If we’re going to slow global warming in the very short time available to us, then we don’t actually need an incredibly complicated legislative scheme that gives door prizes to every interested industry and turns the whole operation over to Goldman Sachs to run. We need a stiff price on carbon, set by the scientific understanding that we can’t still be burning black rocks a couple of decades hence. That undoubtedly means upending the future business plans of Exxon and BP, Peabody Coal and Duke Energy, not to speak of everyone else who’s made a fortune by treating the atmosphere as an open sewer for the byproducts of their main business. Instead they should pay through the nose for that sewer, and here’s the crucial thing: most of the money raised in the process should be returned directly to American pockets. The monthly check sent to Americans would help fortify us against the rise in energy costs, and we’d still be getting the price signal at the pump to stop driving that SUV and start insulating the house. We also need to make real federal investments in energy research and development, to help drive down the price of alternatives -- the Breakthrough Institute points out, quite rightly, that we’re crazy to spend more of our tax dollars on research into new drone aircraft and Mars orbiters than we do on photovoltaics. Which leads to the third step in this process. If we’re going to get any of this done, we’re going to need a movement, the one thing we haven’t had. For 20 years environmentalists have operated on the notion that we’d get action if we simply had scientists explain to politicians and CEOs that our current ways were ending the Holocene, the current geological epoch. That turns out, quite conclusively, not to work. We need to be able to explain that their current ways will end something they actually care about, i.e. their careers. And since we’ll never have the cash to compete with Exxon, we better work in the currencies we can muster: bodies, spirit, passion. As Tom Friedman put it in a strong column the day after the Senate punt, the problem was that the public “never got mobilized.” Is it possible to get people out in the streets demanding action about climate change? Last year, with almost no money, our scruffy little outfit, 350.org, managed to organize what Foreign Policy called the “largest ever coordinated global rally of any kind” on any issue -- 5,200 demonstrations in 181 countries, 2,000 of them in the U.S.A.
People were rallying not just about climate change, but around a remarkably wonky scientific data point, 350 parts per million carbon dioxide, which NASA’s James Hansen and his colleagues have demonstrated is the most we can have in the atmosphere if we want a planet “similar to the one on which civilization developed and to which life on earth is adapted.” Which, come to think of it, we do. And the “we,” in this case, was not rich white folks. If you look at the 25,000 pictures in our Flickr account, you’ll see that most of them were poor, black, brown, Asian, and young -- because that’s what most of the world is. No need for vice-presidents of big conservation groups to patronize them: shrimpers in Louisiana and women in burqas and priests in Orthodox churches and slumdwellers in Mombasa turned out to be completely capable of understanding the threat to the future. Those demonstrations were just a start (one we should have made long ago). 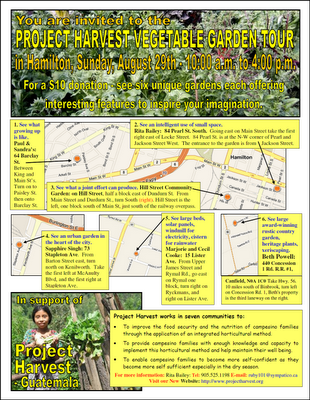 We’re following up in October -- on 10-10-10 -- with a Global Work Party. All around the country and the world people will be putting up solar panels and digging community gardens and laying out bike paths. Not because we can stop climate change one bike path at a time, but because we need to make a sharp political point to our leaders: we’re getting to work, what about you? The big environmental groups are starting to wake up, too. The Sierra Club has a dynamic new leader, Mike Brune, who’s working hard with stalwarts like Greenpeace and Friends of the Earth. (Note to enviro groups: working together is fun and useful). Churches are getting involved, as well as mosques and synagogues. Kids are leading the fight, all over the world -- they have to live on this planet for another 70 years or so, and they have every right to be pissed off. But no one will come out to fight for watered down and weak legislation. That’s not how it works. You don’t get a movement unless you take the other two steps I’ve described. And in any event it won’t work overnight. We’re not going to get the Senate to act next week, or maybe even next year. It took a decade after the Montgomery bus boycott to get the Voting Rights Act. But if there hadn’t been a movement, then the Voting Rights Act would have passed in… never. We may need to get arrested. We definitely need art, and music, and disciplined, nonviolent, but very real anger. Mostly, we need to tell the truth, resolutely and constantly. Fossil fuel is wrecking the one earth we’ve got. It’s not going to go away because we ask politely. If we want a world that works, we’re going to have to raise our voices. Bill McKibben is founder of 350.org and the author, most recently, of Eaarth: Making a Life on a Tough New Planet. Earlier this year the Boston Globe called him “probably the country’s leading environmentalist” and Time described him as “the planet’s best green journalist.” He’s a scholar in residence at Middlebury College. To hear him discuss why the public needs to lead the fight against global warming in Timothy MacBain's latest TomCast audio interview, click here or, to download it to your iPod, here.